Patna, May 30: IIT results brought twin joys to the state today as Bihar’s Shitikanth created history by securing the top spot in the all-India Joint Entrance Examination (JEE) for admissions to the all-India Institutes of Technology (IIT). On the other hand, IPS officer Abhayanand and mathematics wizard Anand’s brainchild Super 30 gave a super performance as all its 30 students made it to the IITs. The Ramanujan School of Mathematics picks up 30 students, belonging to financially weak families every year and prepares them for the IIT-JEE, free of cost. “I am celebrating, as I never expected to top the list,” said a beaming Shitikanth, as he sat surrounded by his family and friends at his Exhibition Road apartment. Shitikanth, a student of St Michael School, is the first to top the IIT-JEE from Bihar. In 1981, another student from his school secured the second position. Shitikanth’s parents, Neeta Bernwal and Arun Kumar Bernwal, have been smiling ever since they heard about their son. “He (Shitikanth) has been a bright student all through. We were expecting him to do well. But he made us so proud by topping the list,” said Neeta. Chief minister Nitish Kumar, who congratulated Shitikanth and his parents soon after the results came out, is expected to meet him tomorrow. Meanwhile, a beaming Abhayanand and Anand were busy congratulating their Super 30 batch for their brilliant performance. As the men pointed out, it has been a four-year wait for the cent per cent success. “Fourteen of the 30 candidates belong to the OBC group. And they qualified from the general quota,” said Anand. The professional coaching classes, run by Ramanujan School of Mathematics too, brought laurels to the school with 39 of their 70 candidates cracking the IIT-JEE. Patna: A Bihar boy has topped this year's All India Joint Entrance Examinations (JEE) conducted for admissions to the Indian Institutes of Technology. Shitikanth, who hails from Patna, topped JEE conducted by IIT. "I am really happy and celebrating my success as I never expected to top," an upbeat Shitikanth said here on Friday. Surrounded by his family, relatives and friends, Shitikanth said he was expecting that his name might figure in top ten. "It is all a result of hard work and positive surrounding, nothing else," he said. He said that his favourite subject is Physics followed by Mathematics. "I love to study Physics all time. I have no problem in Physics, more or less the same with Maths," he said. But Chemistry, particularly Inorganic Chemistry, is a tough subject for him. "I have faced a little problem studying Chemistry," he admitted. Shitikanth did his Class 10 from St Michael School in Patna. He joined Bansal Classes in Kota in Rajasthan to prepare for IIT. He has become a star here after the news spread that he topped the JEE this year. PATNA: Famous as maths wizard Anand Kumar who once sold 'papad' on the streets to eke out a living is a happy man today with all the 30 aspirants of IIT-JEE from his coaching institute, Super 30, making it to premier IITs. Kumar, who runs the coaching institute with Additional Director General of Police Abhayanand, set it up in 2003 for providing free coaching and boarding to students from economically weak backgrounds. The number of students from the institute who made it to the IIT rose from 18 in 2003 to 22 in 2004, 26 in 2005, 28 each in 2006 and 2007 to 30 aspirants this year. Chief Minister Nitish Kumar congratulated the students of Super 30 and also Sithikant, a student of St Michael's High School in Patna, who topped the All India Merit List for IIT-JEE this year. "Bihar is rising and the renaissance has begun. Sithikant and students of Super 30, will inspire future aspirants," Kumar said in his message. Anand's house at Kathpulwa on the outskirts of the state capital wore a festive look with parents of children who cracked the IIT JEE distributed sweets to everyone in the area. ADGP Abhayanand who teaches physics at the institute told PTI, "We shortlisted some 30 students and coached them for the All India Engineer Entrance Examination (AIEEE) and all of them made to the IIT list. We will increase the number of AIEEE students from the next batch". Patna: All the 30 students enrolled in Super 30, an innovative coaching institute in Bihar, have passed the highly competitive Indian Institute of Technology-Joint Entrance Examination (IIT-JEE) this year, the institute announced in Patna on Friday. It is the first time that Super 30 achieved 100 per cent success. "It is a big day for us. We were waiting for 100 per cent result for the last four years. At last we succeeded in our effort to achieve it this year," Anand Kumar, director of Super 30, said. He said, "We are really in celebration mood after making it." Every year, Super 30 selects a group of 30 IIT aspirants from poor families and provides them with free coaching, food and accommodation. Bihar's Additional Director-General of Police Abhyanand, who teaches physics at the institute, said this year Super 30 successful students include students from a minority community for the first time. Till last year students from backward castes, extreme backward castes and Dalits cracked IIT-JEE through Super 30. "But this year some students of minority community succeeded in IIT-JEE," said Abhyanand. He said the success of Super 30 lies in hard work and proper guidance for achieving excellent result. He said that in 2007, 28 of the students made it through ITT-JEE and two others were selected for preparatory. In 2006 too, 28 students of the Super 30 had made it to the IITs. "We were sure of positive results as we teach them to eat, sleep, walk and talk only IIT," reiterated Anand. Anand, who also runs the Ramanujam School of Mathematics, said Super 30 is supported by the income generated from the mathematics school, which has students who can afford to pay fees. Super 30 took shape five years ago. Eighteen of its students cracked the IIT-JEE that first year, 2003. The number rose to 22 in 2004 and 26 in 2005. Last year, Norika Fujiwara, a former Japanese beauty queen and actress, made a documentary film on Super 30 for its innovative and successful attempt to send poor children to India's top engineering colleges. Washington, May 14 Two Virginia University students have started a project with an India-based partner to supply electricity to villages in Bihar by burning rice husks, a process that may also help reduce carbon emissions. So far, two pilot rice husk generators are providing power to about 10,000 rural Indians, which will save 200 tonnes of emissions annually for each village if compared to generation of power from diesel or coal, the university said in a statement here. The two students are Manoj Sinha and Charles Ransler, from the university's Darden School of Business and their partner is Gyanesh Pandey, an engineer who oversees things on the ground in India. The project may help turn the huge piles of husks that accumulate in many "rice belt" villages into two valuable products: electricity and ash that can be sold as an ingredient for cement, the institute said. The business plan of Husk Power Systems calls for a rapid expansion that will put the miniature power plants in hundreds more villages within a few years. The plan recently received several votes of confidence as college business plan competitions have awarded it almost USD 100,000 in prize money, including USD 50,000 for winning the Social Innovation Competition at the University of Texas on May 2, USD 35,000 for second place at MIT's Ignite Clean Energy competition on May 12 and a USD 10,000 top prize from the University of Virginia on April 7. Justice Rajendra Mal Lodha today took oath as Chief Justice of Patna High Court. Bihar Governor R S Gavai administered the oath of office to Justice Lodha at a simple ceremony at Rajbhawan here this evening. Those who attended the ceremony included Chief Minister Nitish Kumar, state Parliamentary Affairs Minister Ramashray Prasad Singh, Law Minister Ramnath Thakur and several other dignitaries. Justice Lodha was earlier Judge of Rajasthan High Court. He also served in Mumbai High Court. After obtaining law graduation (LLB) from Jodhpur university, he was enrolled with Bar Council of Rajasthan. He practised exclusively in Rajasthan High Court and dealt with almost all branches of the law. Prior to his elevation of judge of Rajasthan High Court on January 31, 1994, he was the standing counsel of the Central government and was in-charge of entire litigation of the Union government at Jaipur bench from 1990 to 1992. NEW YORK: Why would a mentor group associated with a university that will be founded in the boondocks of Bihar outside a village called Bargaon be meeting in Tokyo, Singapore, and now in New York? Because the stakeholders come from far and wide, stretching from East Asia to the United States, and the university is no ordinary one. We are talking here of Nalanda, the famous Indian seat of learning and one of the world's first residential universities founded some 1500 years ago that in its heyday boasted of over 10,000 students and 2,000 teachers coming from Korea, Japan, China, Tibet, Indonesia, Persia and Turkey. Last week, representatives from host nation India and the East Asian countries had their third meeting in New York to decide the nuts and bolts of reviving the original globalist school "aimed at advancing the concept of an Asian community...and rediscovering old relationships." Chaired by Nobel laureate Amartya Sen, the mentor group decided on six faculties for what will largely be a post-graduate research university. They include a School of Buddhist studies, philosophy, and comparative religion; School of historical studies; School of International Relations and Peace; School of Business Management and Development; School of Languages and Literature; and, School of Ecology and Environmental Studies. The mentor group also decided to select an eminent academician to be the Inaugural Rector an initial appointment period of five years to oversee the project, which is expected to start rolling in 2009 after the group meets again in New Delhi in August and gives its recommendation to the East Asian Summit in December. By then, countries are expected to write out the checks to revive one of the world's landmark learning centers. The numbers are still fuzzy, but the founders are looking at an initial endowment of anywhere from $250 million to $ 1 billion, a modest start in an era when Harvard University's endowment stands at $35 billion ( see Indiaspora ). "The idea is not to have a Harvard replica...and besides, the dollar still goes a long way in India," said Neelam Deo, India's consul-general in New York who hosted the meeting, adding that the aim of reviving the university was "to emphasize the importance of eastern intellectual endeavour and ensure that human aspiration is not be dominated by western imprint." The oldest extant universities in the world -- in continuous operation -- date back to around 1200 years ago, and they are all outside the United States. The University of Al Karaouine in Fez, Morocco (founded 859 AD), is listed as the world's oldest, continually-operating, degree-granting university, followed by Cairo's Al Azhar University (975 AD). emperors, although some records date it back to 500 BC around the time of Buddha. It functioned till 1193 when it was sacked by the armies of Bakhtiyar Khilji. But now, with the economic weight of the world shifting again to the east, countries in the region appear keen to also gain intellectual heft. 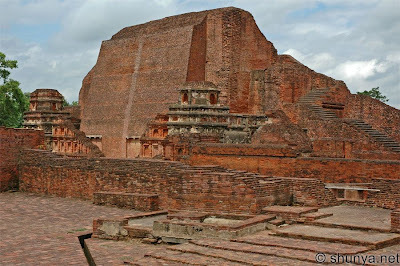 Although India, China, Japan and Singapore are the prime movers, even Australia and New Zealand are said to be keen to contribute to the Nalanda project. India has sought collaboration with Israel to enhance the quality of litchi, grown mainly in Bihar, to boost its domestic and export market. 'Collaboration with Israel is in the offing to enhance quality of litchi and to get rid of problem of very short harvesting period,' said Dr K.K. Kumar, director of the National Research Centre for Litchi at Muzaffarpur, about 70 km from here. India is eyeing technology transfer from Israel for litchi. 'Israel has got technology that will help litchi growers as well as those engaged in its marketing to earn lucrative prices,' Kumar told IANS over telephone. Dr H. P. Singh, deputy director of the Indian Council of Agricultural Research, recently visited Israel in this connection. 'Singh was impressed by the technology when he was told about it during his visit,' Kumar said. Israel possessed an innovative technology to keep perishable fruits like litchi fresh for at least 28 days. 'Access to this technology will manifold increase earnings through litchi,' he said. The union Agriculture Ministry plans to sign a Memorandum of Understanding with the Israel government for the collaboration soon. Kumar said litchi suffers from the problem of a very short harvesting period. It also suffers from high post-harvest losses up to 50 percent due to non-availability of suitable post harvest technology and standard packaging. Fading of the natural pink colour of the fruit by the time it reaches distant markets is another significant problem. About 70 percent of all litchis produced in India are grown in Bihar. The agro-climatic condition of the state is ideal for this fruit. The number of farmers in the state growing litchis has increased in the last decade, especially in Muzaffarpur district and neighbouring areas. The famous shahi litchi of Muzaffarpur is a variety loved by all. The state government has initiated moves to claim the brand name under the intellectual property rights (IPR) laws. The brand name will benefit farmers who will gain access to more markets and better prices. But in a recent report, the World Bank noted that litchis good enough for export were being grown in only about 10 percent of the 2,000-odd orchards in Muzaffarpur. Countries that import litchis from India include the Netherlands, the United Arab Emirates, Saudi Arabia, Lebanon, Canada, Russia and Yemen. Income generation is important for any agricultural activity. What farmers need is a remunerative income (not minimum income) for their produce, and honeybee rearing fits the slot too well. It has been proven to increase a farmer’s income by 50-60 per cent under favourable conditions. It requires little investment, no land, and is not labour intensive. It is particularly suited as an income-generating activity for women, young people, and the landless. Though bee rearing is quite prevalent among many farmers in the country, Bihar seems to top the list as it happens to be the largest producer of honey- producing about 21,000 metric tonnes of honey annually, and has about 20,000 bee keepers who are engaged in honey production. “A majority of honeybee farmers in Bihar are small producers who are exploited by middle men. “Most of them either sell the honey to a local cooperative store or to private buyers. Some of them form associations to sell the honey,” said Dr. R.K.P. Singh, Advisor, State Farmers Commission, Patna, Bihar. 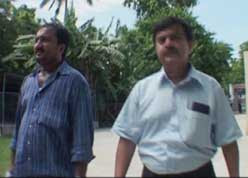 But the story of Mr. Shashi Kumar in Suraheri village, Gaya district, of Bihar is quite different. Starting in a small way by taking a loan of Rs. 10,000 from a local cooperative bank, he set up about 10 bee boxes for rearing Italian bees (Apis mellifera). Today Mr. Sashi, has about 600 bee boxes and earns about Rs. 5,00,000 as net profit per year after meeting all expenses. About 20 persons are presently employed in his farm. He has also established a honey quality testing laboratory where the produce is tested, processed and packed. His lab is popular among several other honey bee farmers for processing and packaging their product. But why did he choose this line when livestock or poultry could have been a natural choice? Honey bee rearing does not require huge investments, and to rear these bees one does not require vast acres of land or labour. You can simply keep the bee boxes in your neighbouring fields and gardens and as many people now know that bees are an important source for pollination and in turn increase the yield they do not object to the presence of these boxes in their lands. “Initially my father was not receptive to the idea of me starting bee rearing as I had a permanent job in Kolkata. But the ambition to set up my own enterprise and succeed in it made me start this business,” said Mr. Shashi. Mr. Shashi underwent training programmes in honey production at the Rajendra Agricultural University in the state and at the Punjab Agricultural University, Ludhiana, Punjab. In honey production, one has to move the bee boxes for higher production and survival of bees in slack season to different areas. How did he manage to overcome this critical phase in his business? Now, his honey is being marketed under the brand name M/s Shiva Agro-natural Produce Private Ltd, and reputed firms such as Dabur, Kashmir Apiary, and Kalyani Enterprisesrank among his customers. Mr. Shashi has been conferred the ‘Honour Award’ by the Agricultural Produce Export Development Agency (APEDA) and National Bee Board. The State government conferred on him the ‘Kisan Shree’ award for his contribution to honey production and processing. He imparts training to farmers for honey production, processing and packaging on his farm. For more information readers can contact Mr. Shashi Kumar at Vidyarthi Bhawan, Janakpur, Buniyadganj, Gaya, 823003, Bihar and Dr. R.K.P. Singh, Advisor, State Farmers Commission, Pant Bhawan, Bailey Road, Patna, Bihar: 800001, mobile 09431245480, email: rkpsingh2k3@rediffmail.com and kisanayog@gmail.com, phone: 0612- 2206169. Kiran Devi is a junkyard dealer and serial entrepreneur; Kiran lives in Patna, Bihar, India. Kiran took a small loan to open her junkyard where she lives - two roads cross in the center of the city of Patna and you will find Kiran somewhere in between. The "Girl Stars" project includes this series of films documenting the stories of girls from the most disadvantaged communities across five northern states of India who, through attaining education, have managed to break the shackles of socio-economic constraints and make successful, self-sufficient lives for themselves. These young women have become role models in their communities and beyond, inspiring girls to go to school and continue their education. Ever heard that Tea is also grown in BIHAR ?? We know Assam, North East and South India as traditional tea growing areas. Now Bihar also has started tea plantation and LOCHAN TEA LTD. has started first tea estate in Pothia block of Kishanganj district of Bihar . See this video. Electricity from biomass in Bihar, India. A model case which could be replicated in other part of BIHAR where scarcity of supply is a perennial problem for ages. There is always and end to a tunnel,which brings Light. its welcome how small it is,looking at the gloomy picture. BRING BACK BIHAR IS A DOCUMENTARY FILM WHICH DEALS WITH THE MIGRATION OF STUDENTS AND LABOURS FROM BIHAR AND ITS IMPLICATIONS. NITIN CHANDRA HAS HOT THE DOCUMENTRY WITH THE HELP OF SOME OF THE BIHARI DIASPORA. HERE IS A TRAILER. IF YOU FEEL FOR THE CAUSE OF BIHAR. IF YOU FEEL THAT THE PLIGHT OF BIHARIS NEEDS TO BE SHOWN TO THE WORLD, PLEASE HELP NITIN BY HELPING HIM IN MANAGING THE FINACES TO PRODUCE THIS DOCUMENTRY FEATURE. NITIN IS LOOKING FORWARD FOR MORE DONATIONS AFTER YOU SEE THIS HERE. David Crystal of the Cambridge Encyclopedia recently said Indian English is set to rule as more people speak the language in India than in the English-speaking world. Surprisingly, Bihar promises to be a trend setter. In an open-air school in Vaishali, songs help kids unravel the mysteries of Pythagoras and master the nuances of the Queen's language. The National Thermal Power Corporation's (NTPC) Barh unit has signed a Memorandum of Understanding (MoU) with Bihar government under public-private-partnership (PPP) to upgrade the Industrial Training Institute (ITI) at Begusarai as a centre of excellence in electrical trade. ITI Begusarai would receive Rs 2.5 crore Central assistance, which would be used to make the institute a centre of excellence in electrical branch, in addition to increasing the annual intake of 114 extra students in the ITI, official sources said. The NTPC's Assistant General Manager (Personnel) S R N Jagtap and Bihar's Labour Secretary Vyasji signed the MoU at a function at the A N Sinha Institute of Social Studies here yesterday. The institute admits 138 students in various trades at present.